Yogurt is most commonly created using cow’s milk; however, it can also be created using water buffalo, goats, ewes, mares, camels, and yaks. Yogurt (also spelt yoghurt), is one of the most popular fermented dairy products in the world, made by adding live bacteria to milk. Eaters will get a dose of animal protein (about 9 grams per 6-ounce serving), plus several other nutrients found in dairy foods, like calcium, vitamin B-2, vitamin B-12, potassium, and magnesium. 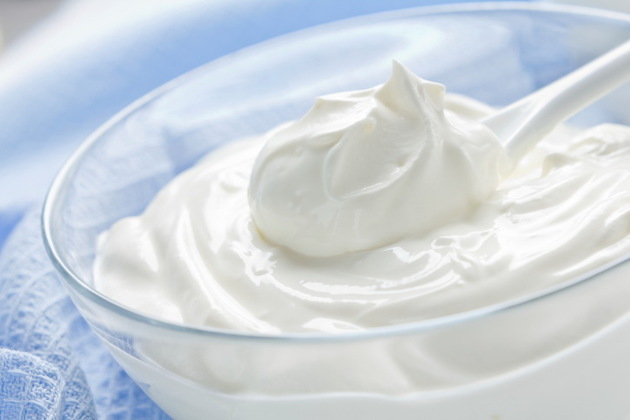 Here on this page, we will see some of the useful health benefits of Yogurt. Consuming fat-free and low-fat yoghurt may help lower your risk of developing high blood pressure. Special proteins in dairy regulate BP, and high levels of calcium, magnesium, and potassium contribute to the blood pressure-lowering effect. A yogurt is also a good option for people who suffer from stomach ailments, such as diarrhoea. Consumption of low-fat yoghurt can also aid in weight loss and may help to prevent osteoporosis. Adequate nutrition plays a major role in the prevention and treatment of osteoporosis, and the micronutrients of greatest importance are calcium and vitamin-D.
Yogurt With Active Cultures May Discourage Vaginal Infections. Even though most of the women had poor blood sugar control throughout the study, the vaginal pH (a measure of acidity or basicity) of the group eating yoghurt with active cultures dropped from 6.0 to 4.0 (normal pH is 4.0-4.5). These women also reported a decrease in candida infections. The women eating the yoghurt without active cultures remained at pH 6.0.